Ironically, seldom, if ever, is the term ‘evangelical’ used in that same context when referring to Christians who are black. Unlike white evangelical Christians, black Christians are considered just, well, Christians, and under that generic descriptor are generally not held to the same standard of attitudinal or ideological scrutiny as their white evangelical brethren. Yes, they are brethren (Gal. 3:26-28). As is often the case when engaging in discourse on such topics as white evangelicalism and, specifically, the influence white evangelicals are having in shaping the current socio-political vista in America – a reality many social justice advocates, especially though not exclusively, find concerning – objective terms and definitions have proven difficult to come by. But if this matter of white evangelicalism is to be discussed in a spirit of intellectual honesty, it must first be objectively defined so as to be understood in context as opposed to a subjective and nebulous idea that is open to interpretation. 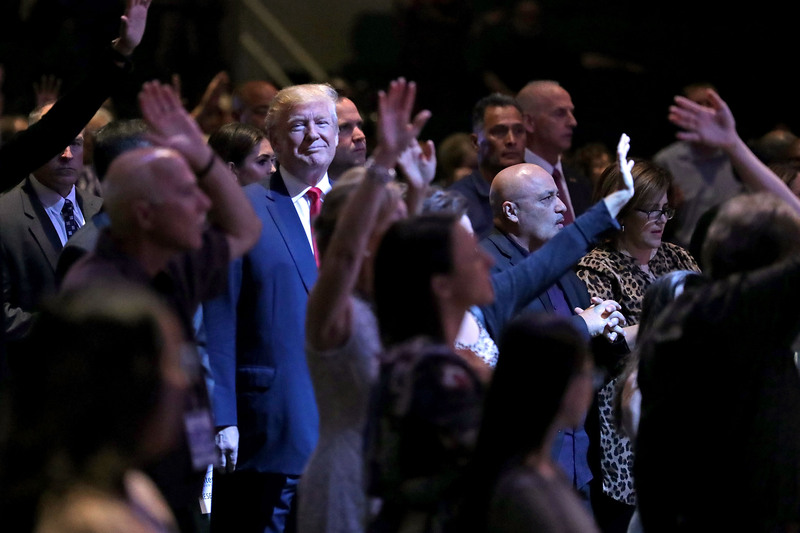 In other words, the question must be asked: what exactly is ‘white evangelicalism’ anyway? There are myriad grievances being lodged under the guise of white evangelicalism, but I have yet to find an objective definition of what white evangelicalism is. And if there is such a thing as white evangelicalism – as there surely must be given how incessantly the term is used within social justice circles – the logical deduction must be that there also exists such a thing as black evangelicalism, and Asian evangelicalism, and Hispanic evangelicalism, and Latino evangelism, and so on, until every conceivable ethnic association with the term evangelicalism has been identified (if such a thing were even possible). 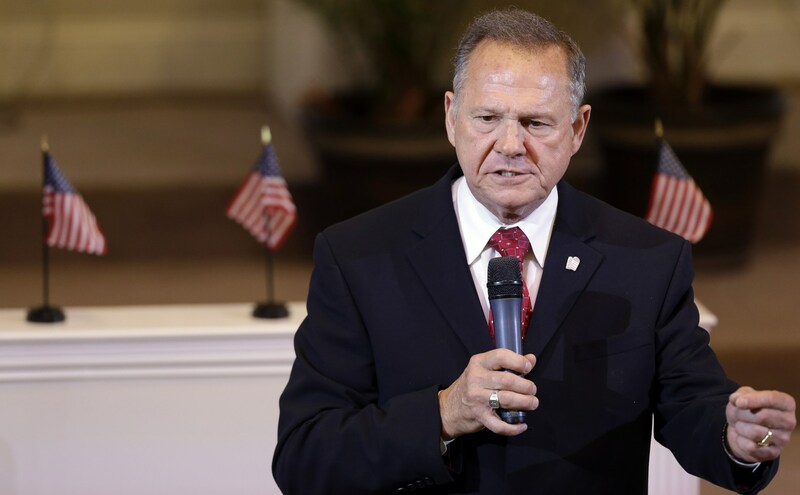 Though not openly acknowledged by many who are considered to be among the social justice elite, the truth is that much of the acrimony being aimed at white evangelical Christians is rooted in a deep-seated anger over the level of support Donald Trump received from them as a voting bloc and, likewise, for conservative Roy Moore, the Republican candidate for United States Senate from Alabama. But I find this indignation, such as it is, to be somewhat hypocritical, as the support received by Barack Obama from black voters in both 2008 and 2012, many of whom were professing evangelical Christians, far exceeded what both Trump and Moore received from white evangelical voters in 2016 and 2017, respectively. So why, then, is it so problematic to some that white evangelical voters cast their vote for the candidate(s) of their choice, when black evangelicals did the exact same thing – and to an even greater degree? It is disingenuous, in my humble opinion, to accuse white evangelicals, en masse, of political, racial, or ideological idolatry with regard to Donald Trump and his agenda, when the same can be said of black evangelicals concerning Barack Obama and the role melanin unarguably played in their decision to twice support him to the tune of 90-plus percent. It is this kind of selective partitioning of the term evangelicalism that prompted me to title this blog post as I did. To assert, imply, or infer that all white evangelical Christian supporters of Donald Trump and Roy Moore are racists and white supremacists, while excusing black evangelical Christians who supported Barack Obama, a man who openly advocated for such unbiblical policies as homosexual marriage and partial-birth abortion, is tantamount to hijacking what evangelicalism truly is by uprooting it from its theological foundations and relegating it to merely a political philosophy. By citing these words of Packer, I am simply pointing out that in discussing the topic of evangelicalism, particularly in light of today’s socio-cultural milieu, it is helpful to consider that words have meaning and meaning requires context, assuming, that is, that getting to the truth about a matter is ultimately the goal of discussing a matter in the first place. In biblical terms, evangelicalism is fundamentally rooted in Jesus’ command to His followers to “…make disciples of all the nations (Matt. 28:19).” It is a universal edict that is applicable to every believer in Christ, regardless of any other spiritual or temporal distinction or qualifier (Lk. 6:46). Interestingly, the Greek noun nation in Matt. 28:19 also appears in Acts 17:26, a text that unambiguously exclaims the sovereignty of God in creating each of us with the unique characteristics we possess and is the word from which the English word ethnicity is derived. But leave it to sinful humanity to take an attribute that openly testifies to the creative genius of almighty God, namely our ethnicity, and use it to divide the very people whose mission it is to proclaim to the world the mercies of a God who, in His providential wisdom, uniquely created each of us in His image (Gen. 1:27). Notwithstanding the extent to which the term evangelical is being co-opted today by many Christian social justice advocates in calling for generations of white evangelical Christians to repent of centuries of racial injustices against black people, the idea of resurrecting and prosecuting past sins is wholly antithetical to biblical Christianity (Eph. 4:32). Shortly before He was put on trial and, subsequently, sentenced to death on a cross, Jesus Christ, who is Lord of the church (Eph. 5:23), prayed that those who believe in Him would be one, even as He and His Father are one (Jn. 17:20-21). The oneness of which Jesus spoke had nothing to do with the pursuit of political consensus across ethnic or cultural boundaries and experiences, but a unity that transcends all earthly understanding and comprehension, being rooted in a universal love for Jesus Christ and those who comprise His church (Jn. 13:34-35; Heb. 13:1; 1 Pet. 3:15-18). We are soldiers in the army. We have to fight although we have to cry. We’ve got to hold up the blood-stained banner. We’ve got to hold it up until we die! There is a sense today in which the word evangelical has become something of an ethnic pejorative within the church in America. Needless to say, this ought not to be the case among those who confess the name of Christ (1 Thess. 4:9). As sinful as it is to discriminate against one of God’s image bearers on the basis of his or her ethnicity, it is no less sinful to misconstrue or misapply an aspect of one’s identity as a Christian to advance or promote a particular ideological narrative or agenda. After all, we are soldiers in the army of Jesus Christ, my friends, and soldiers fight with each other not against each other. Great post, brother! Thank you! If I was wearing a hat, I would tip it for you. A well and wonderfully written piece which should (but I fear will not) make many think. Very nicely done Mr. Harrison! As a British evangelical I have been saddened for many decades at the vast gulf between New Testament teaching and the support of US evangelicals for national and international policies based on power and greed and social and racial division. The USA was founded and continues to be directed upon a basis of the deepest hypocrisy the world has ever seen, very often flimsily concealed under a cloak of Christianity. Why “black” people – especially Christians – have ever accepted participation as “Americans” is beyond my understanding. Having done so, and being so disappointed by the Obama’s descent to “No, we can’t,” it is no surprise that “black” people – evangelical or otherwise – have rejected the long term oppressive class represented by Clinton and taken a chance on the unpredictable Donald Trump. What other choice was presented to them? Clear, thoughtful, articulate. This is something that needs to be said over and over and over again. Looking forward to hearing you today on the Frank Sontag Show on KKLA at 3 PM pst. Dear Brother Harrison: I listened to you twice on the Frank Sonntag show and you presented so clearly and articulately what has been on my heart for for this past year. We are one in our Lord. That is our identity. All other earthly labels separate us. May we share the fellowship gf the suffering of our Lord and His Body..
It’s not surprising that this is coming from the National Council of Churches, what is surprising is the number of evangelicals of any ethnicity who hold this same view. Just looking at the MLK50 conference by Dr. Moore/ERLC & the celebrity preachers who endorse/participate (Matt Chandler) in the same kind of rhetoric. Now the Holy Spirit tells us clearly that in the last times some will turn away from the true faith; they will follow deceptive spirits and teachings that come from demons. Looks like we are there!